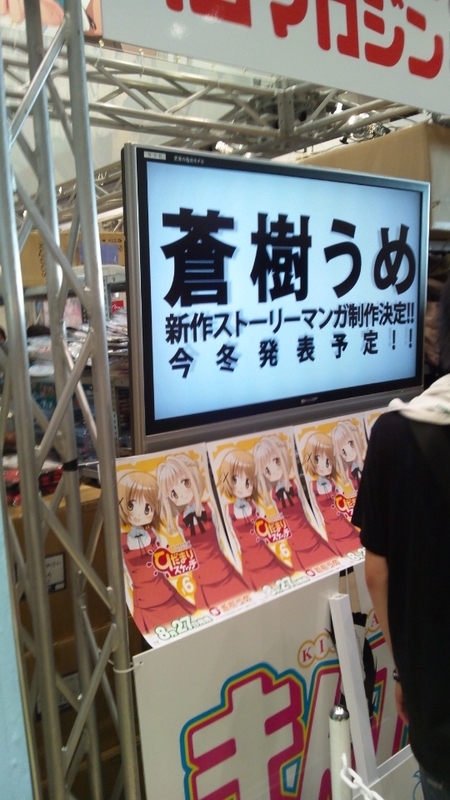 Houbunsha's Manga Time Kirara magazine revealed at its Comic Market booth on Friday that production on a new story manga by Hidamari Sketch (Sunshine Sketch) creator and Puella Magi Madoka Magica character designer Ume Aoki has been green-lit. An announcement with more details will be made this winter. Manga Time Kirara's spinoff magazine Manga Time Kirara Carat published Hidamari Sketch in Japan. Yen Press publishes the Sunshine Sketch manga in North America, and Sentai Filmworks licensed the three television anime series.